Auckland Council Has An Elephant in the Room! Selling A House? Is Your Home Taking An Unreasonably Longer Time To Sell? House Sales Drop Nationwide, Where To next? NZ Capital Gains Tax – How Would It Affect The Housing Market? 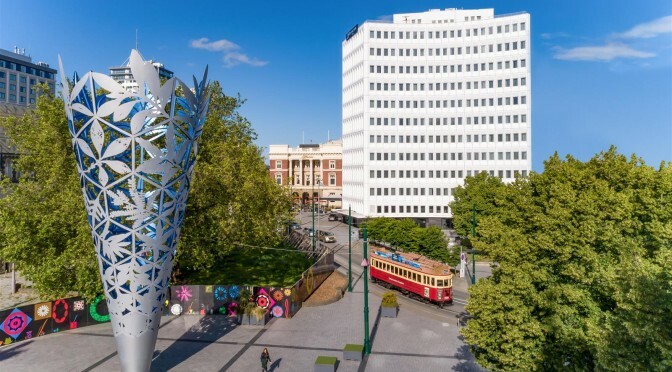 Christchurch is one of the best places to own property in New Zealand. While areas like Auckland have seen their house prices fall, Recently Christchurch real estate market has been predominantly steady. So, if you’re looking to sell, the timing couldn’t be better to Sell Your House Privately Christchurch. If you want to sell a house in Christchurch, the chances are that you want to do it privately, without the need for a real estate agent. After all, many houses for sale in Christchurch are sold this way. What’s the upside to Sell Your House Privately Christchurch? More savings – The primary goal of selling your home privately is to avoid paying real estate agent commission, which by the way can run into thousands of dollars. Oftentimes that means that you’ll pocket the entire amount of the final selling price. For example, if your house fetches $450,000, you will only pay the legal fees – and remain with the full amount. If you’d sold with the help of a real estate agency, on the other hand, you can expect to pay a commission of between $6000 and $14,000. As you can see, that’s not a small amount by any measure. this is another good reason for you to Sell Your House Privately Christchurch. More control – By selling privately, you’ll have more control of the negotiation process and the entire house sale in Christchurch. That direct contact with buyers means that you can price your home right and fetch top dollar for it. Sell fast – Houses for sale in Christchurch through a real estate agent can take time. When you sell it on your own, you can breeze through the whole process and focus on moving on with your life. But, let’s face it; a private sale of a house in Christchurch might not be as easy as you think. You have to put it in the effort and hard work to ensure that it goes through without a hitch. Are you ready to present the house on your own? To help make it easy for you, we have created a step-by-step guide to Sell Your House Privately Christchurch. Look out for unfinished work, parts that need repairs and generally any section that needs maintenance. If you don’t take care of section issues, you will have a negative review after an inspection, which is usually a condition of a private house sale. Kerb appeal is also crucial for private sale. It’s the first thing that buyers will see when they come to check out your house. Put yourself in the shoes of the buyer, is the kerbside appealing? If there are untrimmed bushes, shoddy paintwork and other structural problems, these can be a huge turn-off for the buyer. The rule of thumb is that your kerbside should look more stunning that your neighbour’s. To up the kerb appeal, hire a tradesman to do a few repairs. Don’t forget to tend to front-house flowers/plants, paint the exteriors and whatnot. Or, Hire a registered valuer to generate a property report. This will include the size, locality, comps, age, and condition of your home. Once you have the ballpark value, it’s high time you price your house right. That means you have to consider the sale price of comparable houses in your area. At the end of the day, you need to set the price just under what these similar houses for sale in Christchurch sold for. Have a good marketing plan that’ll help sell your house for a top price. You might have to bring in a professional home stager and photographer to get your home ready to sell. There are numerous real estate listing websites. You have to list on a vast majority of them to cast your net wide. Start with a winning listing copy. Describe your house’s best-selling benefits, features and unique details. Be clear about your selling price and conditions. Do you want to sell it with or without appliances? You can do open home showings, private viewings or both. It doesn’t hurt to capture every potential buyer for houses for sale in Christchurch. This is where things get interesting. By this point, the chances are that you will have received a decent number of offers to buy your property. These offers will be presented to the seller (you) through the Sale and Purchase Agreement. Even if you are not using a real estate agent, it is crucial to keep the offers legally binding. This way, you will not have to deal with the so-called window-shoppers. Once you have these offers on hand, you might want to go through each one of them with your family and trusted financial advisor. Finding, inviting and qualifying standard house buyers in Christchurch can be time-consuming and exhausting. The good news is that you can sell privately to We Buy Property. We are no-nonsense private house buyers and a great option for private sellers. You don’t have to hire an agent because we pay top dollar for your home, all in cash. Once you have finalised the private sale of a house in Christchurch to We Buy Property, it’s time to move to your new place. You must take care of utilities like gas, electric, and telephone to ensure your transition is hassle-free. If You Want To Sell Your house?